Ever since Google introduced PageRank, which counts incoming links to a page as ‘votes of confidence’ for that page, we’ve had major problems with spammers trying to game Google’s systems. In simple terms, the more links you have coming from different websites to any particular page, the higher that page will rank for search phrases relating to the content on that page, so a whole industry of link and content spammers built up around supplying links to those willing to pay for them. Unless you are Google, building links was seen as a perfectly valid technique for boosting rankings and many online marketers created content pages and got links any way they could purely for this purpose, but then Google started to seriously enforce their own Google Webmaster Guidelines https://goo.gl/wOIRpY rules on ‘link schemes’. Google still relies on external link signals for a fairly large part of the way keyphrase rankings are calculated, so if you can’t go out and buy, beg or borrow external links anymore, what do you do? The answer is to build content. Lots of it! Google relies on page content to determine what a page is all about and when I say ‘content’ what I really mean is text. Have you ever wondered why Wikipedia pages rank so well in Google? Yes Wikipedia has lots of incoming links, but the real ace up the sleeve here is lots and lots of unique, attributed and technically correct text which is both user generated and vetted. This means Wikipedia is trusted and gives Google a resource they can rely on, which is why google includes Wikipedia results in their own snippets https://goo.gl/24LCVK at the very top of search results. If this technique works for Wikipedia, it can work for you too. Google absolutely craves fresh, unique content and if that content is supplied regularly and reliably then Google loves it even more. The really surprising thing is that this technique isn’t new, it’s been used for as long as the World Wide Web has existed and was originally the only way that pages were ranked in search engines, before external interlinking of web pages was considered as a factor! For retail websites, it’s not practical to re-write product and category descriptive text on a daily or weekly basis and to be honest, would that actually make any sense? Whilst Google wants to see fresh, unique content, pages which already rank well would be damaged if content changes constantly so what you really need is to add more unique content and make sure Google knows you’re doing it. This is where blogs come in. Blogs (aka Web-Logs, a kind of online journal) allow easy publishing of content to the web in a format which is easily read and shared. The great thing about blogs though is that unlike static informational pages of content within a website, blog software like WordPress automatically ping content services and search engines so that they know the content is there. If you have social media accounts then these can also be linked so that you can post automatically to these channels. You therefore are guaranteed some sort of timely audience for the text that you write and this can have a dramatic effect on both search results and traffic to your website, if you have set up the blog in the right kind of way. I have successfully promoted pages within my employer’s website with blog posting alone, without doing any kind of external link building. The technique works and you can use it too! 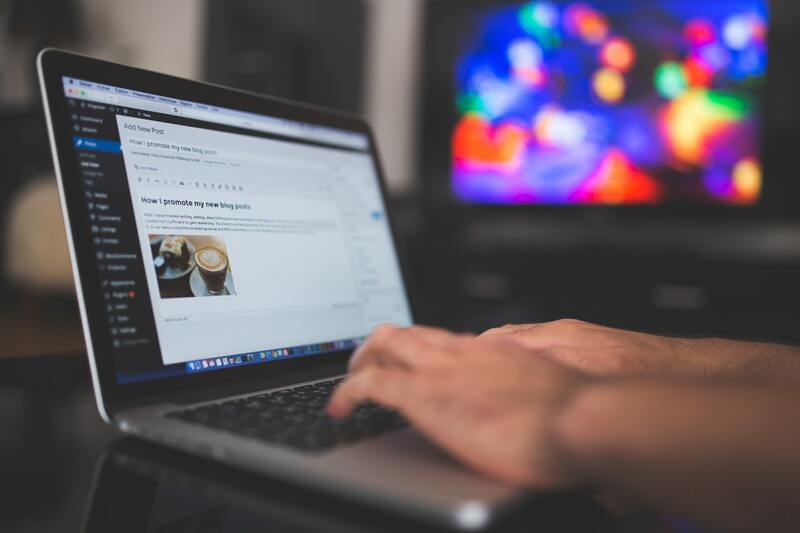 Setting up a blog for your business is easy, however setting up a blog in the right way to promote your retail website is maybe a little more involved. First of all, consider where your blog is hosted. The absolute best practise for Search Engine Optimisation purposes is to host your blog in a sub-folder of your retail website (so site.com/blog) instead of a sub-domain (blog.site.com). This is because Google regards a sub-domain as a separate entity, any content added to a sub-domain does not affect the overall standing of the main domain. Now you have your blog set up, go at it with real gusto! You are trying to create a community of like-minded souls who will hopefully see you as the go-to destination for all related material, hopefully purchasing some of your products along the way, so throw your expertise into everything you write. Blogging is all about creating content which real people will want to read, so this is your chance to really show your knowledge on the subject and give opinion, theory and even conjecture. Some of what you write will be well received, some will provoke controversy, but that’s OK because as a blogger, what you really want is for people to get involved and comment, even question what you are saying. For those serious about blogging, get a schedule of content together and try to post at regular intervals. There are tools out there that will allow you to schedule and plan all of your promotional efforts (we use Coschedule but there are many others). If you use WordPress as many do, scheduling is built right into the interface if all you’re doing is blog posting, plus there are plugins available that will update social media every time you do a blog post. Blogging has the side-effect of getting more pages indexed in Google for your website, this in turn means that you are much more likely to get links naturally. In general, well written content pages are liked by Google and are much more likely to be shared, referenced and linked to than product and category pages within an eCommerce website. The fact that you have gone to the effort of writing blog posts means that what you are actually doing is promoting linking, increasing search engine traffic and also giving visitors to your retail website the re-assurance that they are dealing with a real person when making purchasing decisions. This is definitely a factor to consider when you think that many online retailers don’t have a physical ‘bricks and mortar’ store. If you are convinced, then get talk to your friendly web developer and get a blog for your business. If you are not convinced then think on… estimates say there are around 160 Million blogs online in 2015, can all those bloggers be wasting their time?